Debutant Adam Lewis helped England U19s to a 4-1 victory over Hungary on Wednesday. 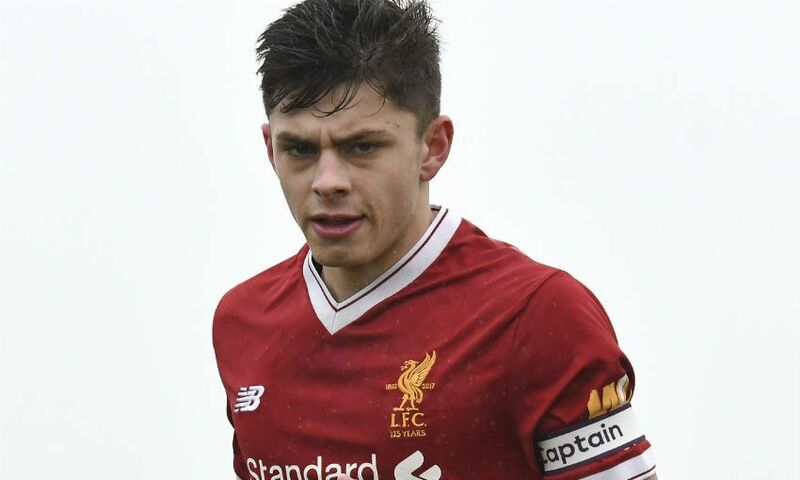 The Liverpool U23s left-back, who also captains the Reds’ U18s side, played the full 90 minutes and impressed on his bow for the Young Lions in their opening U19 European Championship qualifier. England fell behind shortly before half-time at the Telekom Arena in Skopje, Macedonia, but hit back emphatically in the second period with goals from Mason Mount and Jadon Sancho sandwiching a Reiss Nelson brace. Lewis played a part in Mount’s equaliser soon after the break and Nelson’s second of the game, which put Keith Downing’s team 3-1 up late on. England now face Latvia on Saturday and Macedonia on Tuesday as they bid to reach the Euros finals, which take place in Finland in the summer.